My Mom was a big-hearted person. 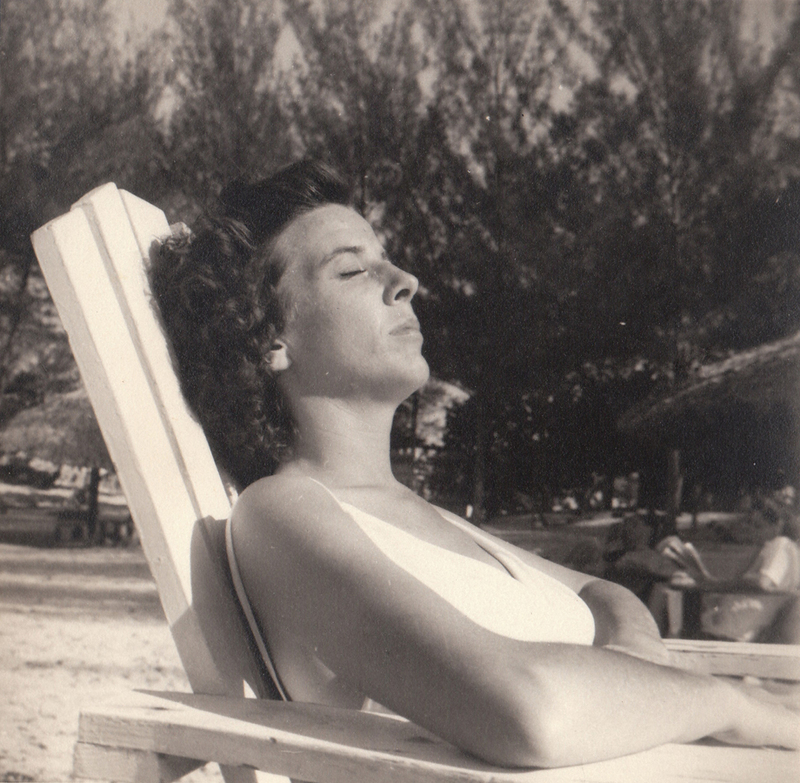 Her life centered around my Dad -- and me and my brothers. She was also a little insecure; you could tell her, "Mom, I love you, I love you, I love you, I love you." And she's respond, "Oh, you're just saying that." Our phone conversations, over the years, changed. When I first leapt out on my own, she was filled with questions: "How's your job? What stories have you been working on? You have a girlfriend yet?" When I got married, she asked how my wife was doing, whether we were happy, "When are you going to have kids?" As we did, she asked all sorts of questions about them. As my Mom and Dad got older, more of the conversation was about him, how she was worried and then about how much she missed him. After she moved out of her house, she didn't ask many questions. She told me what bones were aching, how she didn't like some of the people she was around, how she wasn't feeling well. "When are you coming to visit?" she'd say. Or, "I've lived long enough. If I get sick, don't do anything. Just let me go." In early March 2005, she called. "I'm going into surgery," she said. "I just wanted you to know. Here, talk to the surgeon." I got the low down. They were wheeling her down the hall. She got back on the cell phone. "I'm coming down," I said. "You don't need to do that," she said. "I know," I said. "Hang in there. I'll see you when you get out." She was in the operating room for 8 hours -- not good for an 85-year-old. Not good at all. When they wheeled her to her room, she had tubes coming out everywhere; she was on a ventilator. Gradually we learned she was in an induced coma, that it was likely had some "neurological damage" as they say. "The surgery was rough," the doctor said. Over several days, my brothers came around to the decision we knew we had to make. So, with her minister in the room, a nurse removed the tubes, gently cleaned her face and brushed her hair. We knew it would take time. After a while, the minister left, and then my brothers -- they'd seen enough, said enough. But I stayed. I rigged up my son's iPod to play her favorites -- Copland and Beethoven and Mozart. I sat beside her, nodding off as the pulse of the monitors lulled me to sleep. Around 6 a.m., a nurse shook me awake. "It's time," she said. I went to my Mom and pressed my forehead against hers. She used to do that when we were kids and we were sick. It was to feel whether we had a fever, but she'd linger and say "I want to hear what you're thinking." I thought of that as I felt her forehead against mine and then I felt a deep, last breath and she was gone, the monitor issuing a long steady pulse until the nurse shut it off. I straightened up. As I did, the sun peaked over the horizon and the room was flooded with glorious, golden light. Dawn. My mom's new beginning.